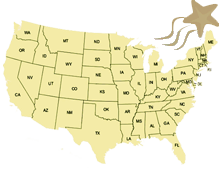 Find an Agency Near You! "It is the most honest & professional agency out there! " We recruit the best Nannies nationally by having a great reputation with the Nannies we currently have placed in happy homes. 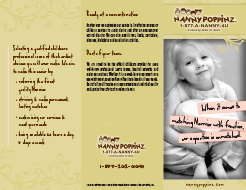 What makes Nanny Poppinz™ Different? Only the Best Services! 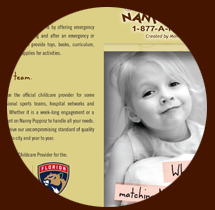 At Nanny Poppinz™ there are NO UPFRONT APPLICATION OR MEMBERSHIP FEES. No fee is due, unless you find your perfect Nanny match. Our Nanny background and employment reference checks are the most thorough in the Nanny industry. We check ALL references and do ALL background checks and personally interview each Nanny BEFORE a Nanny Poppinz™ Nanny is sent to you. We customize our agency services to meet your family's unique childcare needs with a nanny with whom we have had a face-to-face interview . We provide Nanny Services ranging from a 4 hour per week Mother's helper to a full-time live-in Nanny, and from a 4 hour baby sitter to a professional Nanny. At Nanny Poppinz™ our customer service is UNMATCHED. We do all the work for you so you don't have to interrupt your busy life to solve your childcare needs. Our state-of-the-art Nanny finder software sorts through thousands of applicants to find the best Nanny candidates for your individual needs. We schedule the interviews (permanent and part time positions) for you around your busy schedule and follow-up to get feedback from you after the interviews to further refine our Nanny search process as needed. Childcare concerns do not always arise from 9-5 during the week. To help fill this need, Nanny Poppinz™ operates a Nanny Poppinz National Call Center 24 hour per day, 7 days per week, 1-877-262-6694, including holidays and can dispatch a Nanny any time of day or night. Thank you for visiting the Nanny Poppinz website. We want your business because we CAN solve your childcare situations. We have referred over 30,000 Nannies to over 29,000 families in our 27 years of business. We have provided over 1,000 families per year assistance in helping to sort our their child care requirements each year on the average. We would like to add your name to the list. Local pricing is available on agency websites. Why is Nanny Poppinz Agency the right for you? Well to start with our referral service is FREE unless and until we provide you with a Nanny that fully meets your requirement and that you want to hire. Only then are we paid AND our fees are competitive nationally. Any nanny we send to your home to interview is legal to work in the US, 18 years of age or older, fully and extensively background checked, CPR/AED trained/certified and has 3 years of verified Nanny child care experience....it is all free until you find that special Nanny that fulfills your needs and expectations. Unlike other companies, we do all the work so go to the family application button on the website and click it to start your Nanny child care search today! Thank you from Nanny Poppinz.